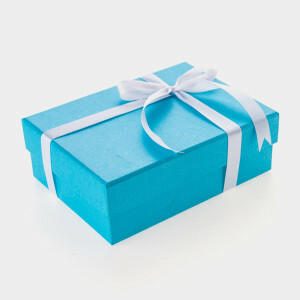 Before you recycle a gift box, make sure it’s free of tissue paper by emptying out anything inside. Ribbon, bows, glitter and other decorations that sometimes adorn gift boxes are not recyclable. Remove decorations and cut out glitter-covered pieces before recycling any gift box. Flatten gift boxes before recycling them, in order to save space and to make them easier to sort. Save on expenses by keeping shoe boxes on hand and turn them into gift boxes. Find out how to turn a shoe box into a gift box. Instead of throwing gift boxes out after one use, save and reuse them until they become worn out.